I'm sure you've heard the advice that a glass of wine can help relax you when you are free motion quilting: how about vodka? Not your usual quilt studio cocktail, but why not? Okay, while I'm using vodka in the quilt studio, it's not for drinking, it's for making an alternate version of the Multi-Purpose Quilt Spray. Did you see my recent project in the Janome Life blog? I created a quick spring project using the Janome Artistic Edge digital cutter as well as the Janome Memory Craft 500E embroidery machine. I kept the project really simple by popping it into an embroidery hoop. I wanted to keep this project simple and knew that the Artistic Edge would make cutting out the intricate appliqué shapes so easy and accurate - and I was right! While I could've spent lots of time drafting up a design on my own, I opted to use a design that was already available in the Simple Cut software that was bundled with the Artistic Edge. Once I had refined my design I chose some decorative stitches to use with the Memory Craft 500E to finish off the appliqué edges. It is so much fun to choose from the hundreds of stitches available in the Simple Cut software. 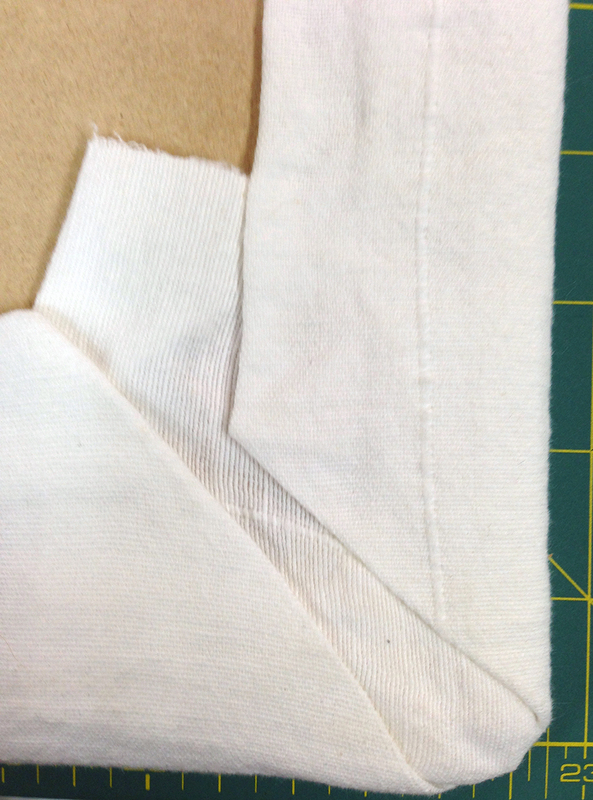 You can lengthen or widen these stitches to create your own version of them. I had to be careful not to play around too much with the stitches or I might never have completed the project! I wrote two articles for the Janome Life blog (one in February and the follow up in March). Click on the photos to read them. If you have any questions about this project or how to create one that is similar, post them in the Comments below and I'll be happy to help you out. P.S. Please join the private Chatterbox Quilts Facebook group where we carry on lively discussions on vintage sewing machines and quilting related topics. I'll see you there! It's Telecast Thursday and the start of my summer vacation! Yay! It's been a busy June and July for me so I'm looking forward to some downtime with my family in Ontario. Besides hitting up a few quilt shops - I think I know where a few of them are - we'll be getting together with friends and family to celebrate my parents' 60th anniversary. Quite a milestone! Thank goodness my brother and I moved out or they might not have made it this far :) Just kididng, bro! I'll be back in a few weeks, but while I'm away, I've reached into the archives and am posting a few oldies, but goodies, that you may have missed. Let's start with a not so oldie: if you haven't already heard about it, I'm co-hosting the One World Quilt Along with Keith (Uncle Gravy) from QuiltFusion. The fun starts on September 15, but you can sign up now so you're all ready to go in September. To find out more about it, you can watch the video below. And, if you're into the Pokémon Go craze, you might enjoy this humourous take on it. Let's take a look back at some machine videos. I use a Janome Horizon Memory Craft 8900 QCP and while it comes with lots of extra presser feet, I've also added a few more specialized feet/attachments to it. In one of my videos, I took a look at Janome's ruler foot which allows you to use rulers on your domestic sewing machine. 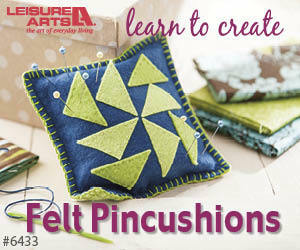 It's really quite easy to do and opens up a lot of possibilities for free motion quilting. Another attachment that I've been having lots of fun with is the Janome Circular Sewing Attachment. I have several videos on this little baby, but will include one of them here to give you a taste of what it can do when you combine its abilities with the decorative stitches on the Janome 8900. I think I'll be using this to add some extra embellishment to my One World quilt. Now I want to share more than one video with you - I'm going to share a whole YouTube playlist. If you're wondering what a playlist is, it is a collection of videos with a common theme. The one I want to share with you is "Got 15 Minutes?". We always think that we need hours to accomplish anything on our projects, but the truth is that you can accomplish a lot in just 15 minutes. Take a look at the ideas in these videos and give them a try. I'd love to hear your ideas on what you can accomplish in your 15 quilting minutes. That's probably enough to keep you busy for a couple of weeks. I'll be back with a new blogpost and video on August 18. See you then! It's Telecast Thursday! I know you watch my videos, but do you know that there is more information on my Youtube videos? Watch the video below or on my Youtube channel to see what you may be missing out on if you aren't looking in the Description area of my videos.